Frank Robinson, one of the greatest players in MLB history, passed away on Thursday at the age of 83. Robinson’s playing career lasted from 1956-1976. His 586 career home runs are 10th on the all-time list. He was voted into the Pro Baseball Hall of Fame in his first year of eligibility. Robinson’s career accomplishments are quite impressive. He won the NL MVP for the Cincinnati Reds in 1961 and the AL MVP for the Baltimore Orioles in 1966. To date, nobody else has won the MVP in both leagues. But the achievements don’t stop there. In 1975, Robinson became the first African-American manager in MLB when he was named player-manager of the Cleveland Indians. Robinson became manager of the San Francisco Giants in 1981, becoming the National League’s first African-American skipper. He later managed the Orioles as well as Montreal Expos/Washington Nationals franchise. When news of his passing broke, many in the MLB world took to Twitter and paid tribute to Robinson. RIP Frank Robinson. A baseball legend. Frank Robinson was a legend. 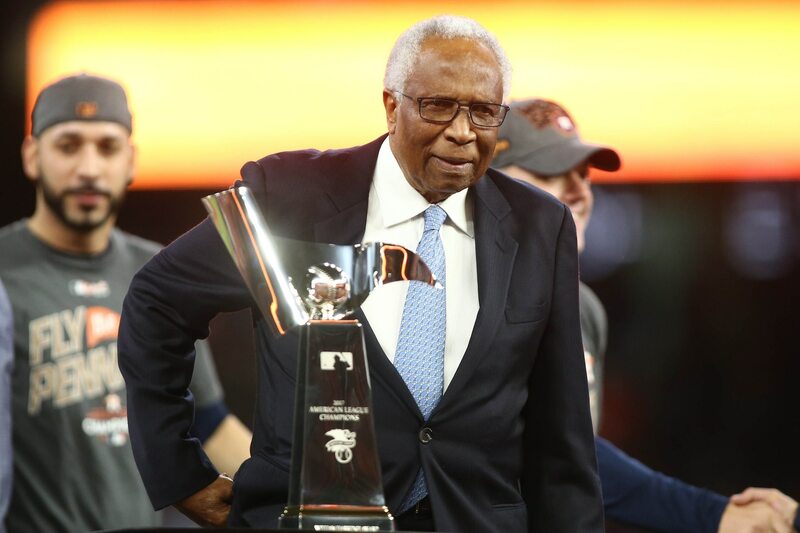 2-time MVP, triple crown, Hall of Fame player, first African-American manager in MLB. He did it all. Was also a basketball teammate of Bill Russell in high school, and a baseball teammate of Bill Russell with the 1972 Dodgers. Frank Robinson was a giant in MLB. Loved his passion as a player and his drive as a manager. He was willing to teach those willing – and smart enough – to want to learn. He's a legend, plain and simple. Rest in peace.